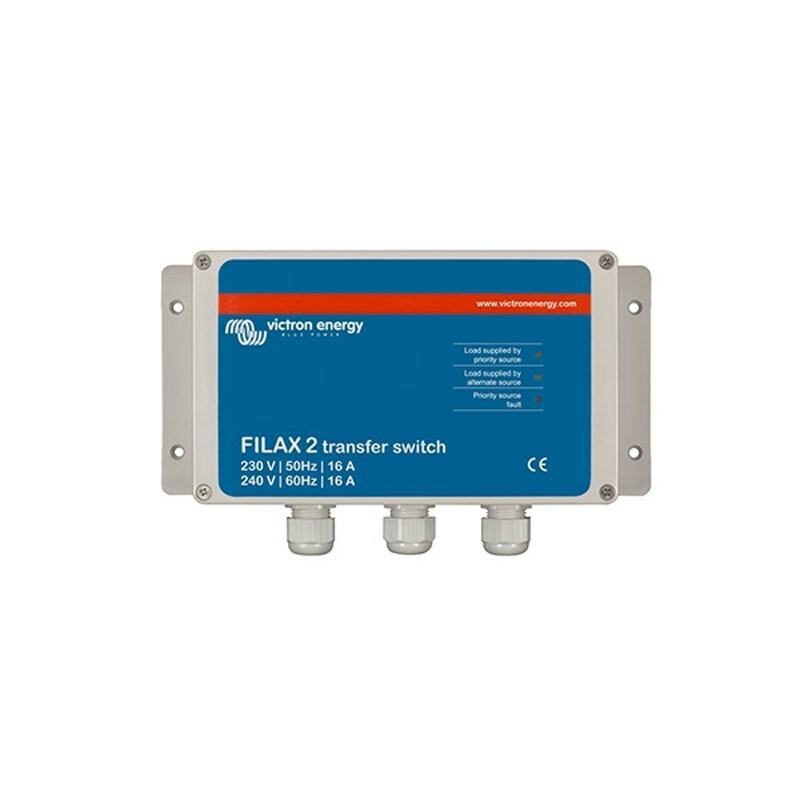 The Filax High Speed ​​Transfer Switch has been designed to switch sensitive loads such as computers or modern entertainment equipment from one AC source to another. Filax has been designed to switch sensitive or critical loads, such as computers, industrial control equipment or modern entertainment equipment, from one AC source to another.The priority source is usually the grid, a generator or a power source. dock. The alternative source is usually a converter. With a switching time of less than 20 milliseconds, sensitive loads will continue to operate without interruption. The Filax is not intended to power large appliances, such as washing machines or electric motors. -The voltage of the priority source drops below the threshold value. -The frequency of the priority source drops below the threshold value for the low frequency, or increases above the threshold value for the high frequency. Inversion of transfer from the AC source to the priority source begins when the priority source has operated within the inverted voltage and frequency switching limits for 30s. • Install the Filax in a well-ventilated area. • The input cables from the generator / mains, the converter and the output cables to the devices must be connected in accordance with the wiring diagram. 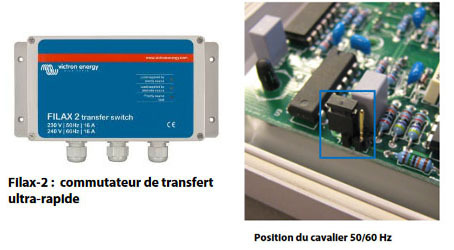 • If a load of less than 850 Watts is connected, then the jumpers must be removed. • The frequency (50 Hz or 60 Hz) is configured with a jumper. 50 Hz without jumper installed. 60 Hz with jumper installed (see photo) If the jumper is not configured for the frequency, the voltage switching thresholds will be incorrect. 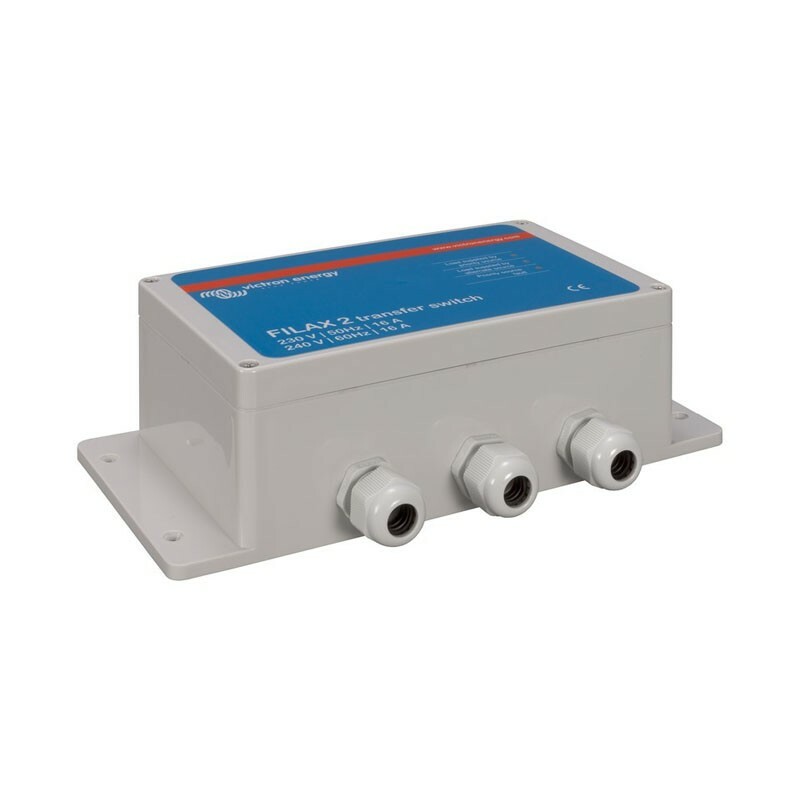 • Both inputs must be protected against current levels greater than 16 A. • The front of the housing is secured with the four screws provided. • The Filax is now ready for use.